Multiple-person, multiple-objective decision analysis including game theory. Strategic analysis of voting systems. Marc Kilgour holds a PhD (Mathematics), MSc (Applied Mathematics) and BASc (Engineering Physics), all from University of Toronto. He has been a member of the Department of Mathematics of Wilfrid Laurier University since 1973. He has been Adjunct Professor of Systems Design Engineering at University of Waterloo since 1984, and was Director of the Laurier Centre for Military Strategic and Disarmament Studies from 1991 to 2004. He is now a member of the Board of Directors of LCMSDS, as well as the Board of Advisors of the Center for Election Science. 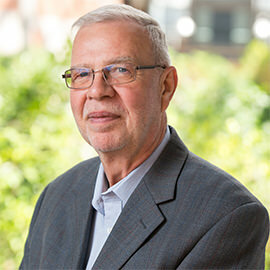 During his time at Laurier, Marc Kilgour has benefited from several sabbatical and other leaves, and was usually able to spend time with research colleagues. He has held visiting positions at University of Vienna, Austria; Tottori University and Kyoto University, Japan; Nanjing University of Aeronautics and Astronautics, China; University of Sydney, Australia; Université de Caen and Ecole Normale Supérieure de Cachan, France; Graduate Institute for International Studies, Switzerland; and University of Waterloo. structural – to design a framework that facilitates good (or better) decisions. Marc Kilgour has approximately 400 refereed or edited publications, including over 200 articles in refereed journals. Marc Kilgour sees his research as lying at the intersection of mathematics, engineering, and social science. He has contributed on a wide range of topics including arms control, environmental management, negotiation, arbitration, voting systems, fair division, and coalition formation. As well, he has co-developed several decision support systems for strategic conflict. Elinor Ostrom Prize for the best article (2012) in Journal of Theoretical Politics, “Narrowing the Field in Elections: The Next-Two Rule,” co-authored with Steven J. Brams. 2007 INFORMS GDN Section Award for outstanding contributions to research in Group Decision and Negotiation and to the GDN Section. Wilfrid Laurier University University Research Professor, 1990-91. R. Duncan Black Award for best article (1984) in Public Choice, “The Canadian Constitutional Amending Formula: Bargaining in the Past and the Future,” co-authored with Terrence J. Levesque. D. Marc Kilgour is President of the INFORMS Section on Group Decision and Negotiation (2014-16). D. Marc Kilgour was President of the Peace Science Society (International) in 2011-12. Since 2007, Marc Kilgour has supervised or co-supervised 23 students at the undergraduate, master's, or doctoral level, as well as 3 postdoctoral fellows. He has also acted as academic adviser to 29 students or academic visitors. These students are almost always involved in research: about 2/3 of his 100 most recent publications have at least one student co-author. Students interested in opportunities to work on projects in Marc Kilgour’s areas of expertise should contact him for more information. By appointment only. Please email mkilgour@wlu.ca.